(Hilo) – Today at 7:45 a.m. the gate to Lava Tree State Monument in the Puna District on Hawai‘i Island will open for the first time in more than seven months. The state park within eyesight of the East Rift Zone’s Fissure 8 was closed shortly after Kīlauea began erupting in May. 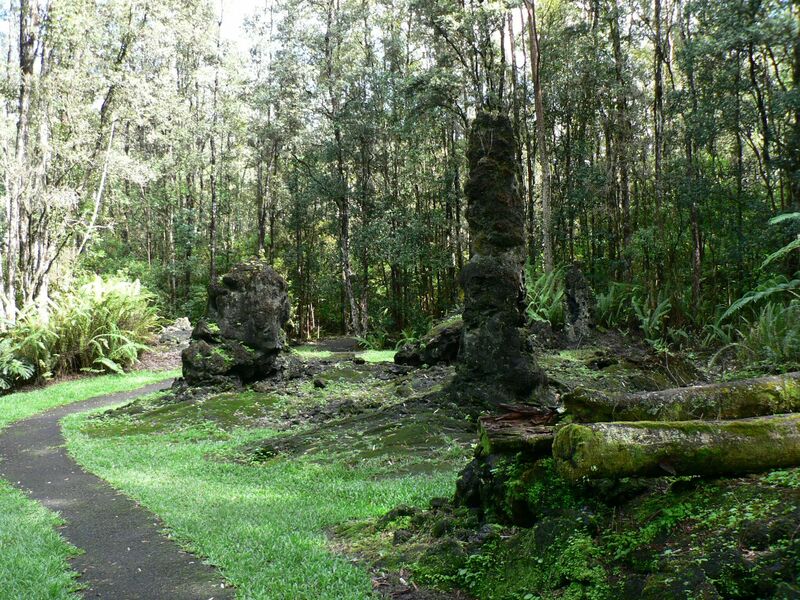 The park, 2.7 miles southeast of Pahoa off Highway 132, features an excellent example of a forest of lava trees along a 0.7-mile loop trail. This unusual volcanic feature is the result of a previous lava flow that swept through the forest and left behind lava molds of the tree trunks. This year’s lava flows did get close to the park but never actually reached it. Earthquakes associated with the eruption damaged park facilities. That damage and Lava Tree’s proximity to active flows prompted the closure. MacKenzie State Recreation Area on the coast had also been closed during and after the eruption, but reopened on Sept. 8th. The state’s Pohoiki Boat Ramp adjacent to Issac Hale County Park remains closed as a new black sand beach has blocked entrance to the ramp. The DLNR Division of Boating and Ocean Recreation (DOBOR) is still in the process of determining whether the sand can be dredged or whether to relocate the ramp to a new location in lower Puna. Anyone visiting state parks in the area is encouraged to use common-sense, to stay on trails and not walk onto new lava flows as they can be unstable and break away.